Does The Zelda Recipe Need An Overhaul? The guys over at Destructoid have recently put out a brand new article about the classic Zelda Recipe. Throughout the short article, the author touches on a handful of things that he believes helped keep the Zelda formula fresh, without making any drastic changes. 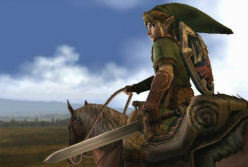 He in particular mentions things from Twilight Princess, such as the Snowpeak Ruins. He talk about how the dungeon was quite unique in comparison to previous dungeons as It wasn’t just some random location tossed somewhere in Hyrule that had very little reasoning for being there. It was actually a mansion with actual characters living their lives there, and its puzzles, locations, and even its boss battle were extremely unique. The author also mentions the Goron Mines from Twilight Princess as a dungeon that doesn’t necessarily reinvent the series, but does give it a fresh feel. The author goes on to somewhat rant about the poor use of Rupees in the Zelda franchise over the years. Rupees can be found all over the place, in unmarked jars, underneath bushes, after defeating enemies, and in unlocked treasure chests found in random caves and dungeons all throughout Hyrule. Yet… there is often very little use for rupees. Sure you can buy potions, bombs, arrows, or those one off items… but for the most part, you can get by with very little use of rupees. The author believes that the Magic Armor from Twilight Princess helped push the use of rupees forward, but to me I still think they need more drastic changes to the rupee system. Do you guys think that the Zelda Recipe is in need of any drastic changes? Perhaps you agree with the author of this article, and feel that while the formula has been consistent throughout, the smaller changes seen in Twilight Princess is enough to keep things fresh. Head on over to our Zelda Forums to discuss the classic Zelda Recipe and if you think it needs any major changes.